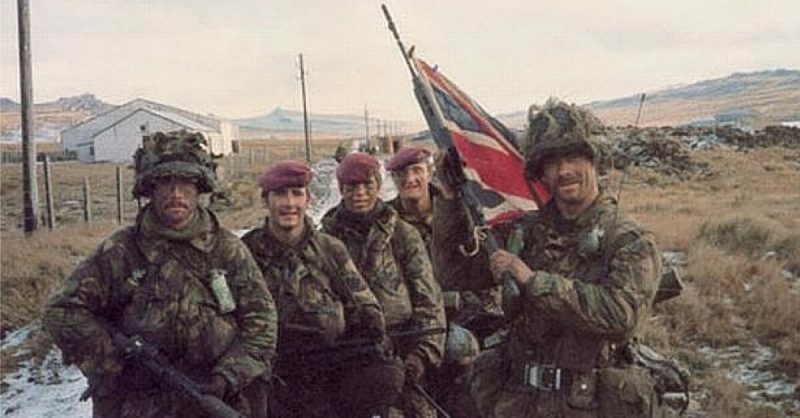 The British Fighting The Argentinians In The Falklands War - "It Was A Very Close-Run Thing"
Looking back at history, the outcome of the Falklands War is seen by on by many as a foregone conclusion. Lasting only ten weeks, it resulted in a clear British victory. But this war between Argentina and Britain could have gone either way. Before the war, Britain was reducing its commitment to the Falklands and nearby South Atlantic territories. Many Falkland Islanders had lost their British citizenship in the 1981 British Nationality Act. More important militarily, British naval power was being withdrawn from the region. Ice-breaking ship HMS Endurance, the only Royal Navy ship permanently stationed in the South Atlantic, was about to be scrapped. Wider cuts, including the impending loss of two aircraft carriers, indicated a retreat by Britain’s navy. Argentina had a huge advantage in manpower. 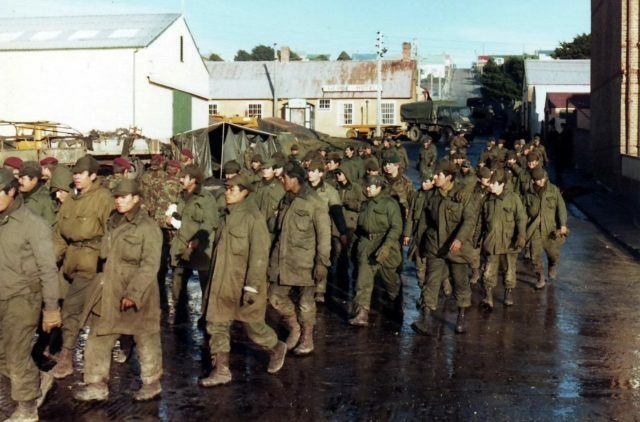 During the initial invasion, the Argentines committed 600 ground troops against a British garrison of 85 Royal Marines, 25 members of the Falkland Islands Defence Force (FIDF), and around a dozen retired members of the FIDF. With their homeland so much closer, the Argentines were more easily able to get troops into the combat zone. Argentine Prisoners of War at Port Stanley. Faced with overwhelming odds, the British put up little defense. Sir Rex Hunt, the British Governor, negotiated a surrender within 12 hours of the invasion. Though a group of Royal Marines initially remained uncaptured, they destroyed their weapons and surrendered rather than risk civilian lives in a fruitless fight. In less than a day, the Argentines had gained control of the islands, and so the advantage of holding defensive positions. Given the distance from Britain to the Falklands, the Chiefs of Staff of both the British Army and the Royal Air Force believed that retaking the islands was unrealistic. Lack of political confidence could have led to an instant Argentine victory, if not for the strong views of others, in particular, British Prime Minister Margaret Thatcher. The Falklands War was enough of a conventional conflict for bombing raids to be important, against both enemy ships and land-based targets. Again, geography gave the advantage to the Argentine forces. 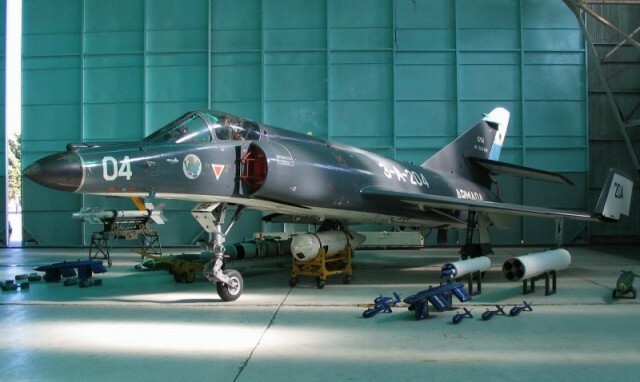 Bombers could reach the Falklands from Argentina and hit their targets in a single run. Reaching the Falklands from the UK involved a complex refueling operation, in which around a dozen aircraft set out for every one that got as far as the target. Reaching the Falklands from the UK involved a complex refueling operation, in which around a dozen aircraft set out for every one that got as far as the target. The British forces suffered several setbacks. An attempt to retake South Georgia, another of the islands seized by Argentina, led to failure on 21 April. Elite troops were landed, but had to be picked up again due to extreme weather, and two helicopters were lost in the operation. 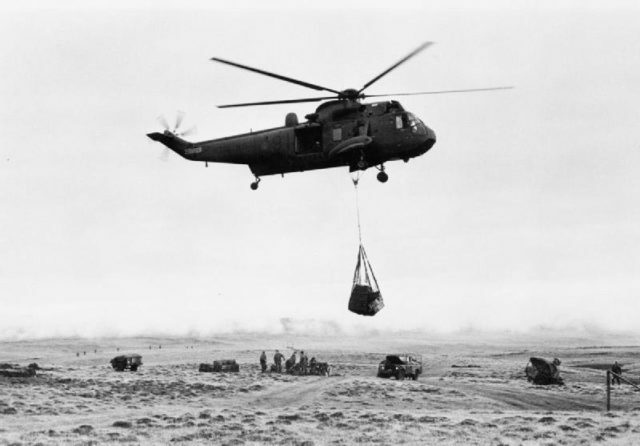 Plans to attack the air base at Tierra del Fuego, on the Argentine mainland, were abandoned before they even began, and a similar mission led to a British helicopter crew surrendering themselves to Chilean authorities. 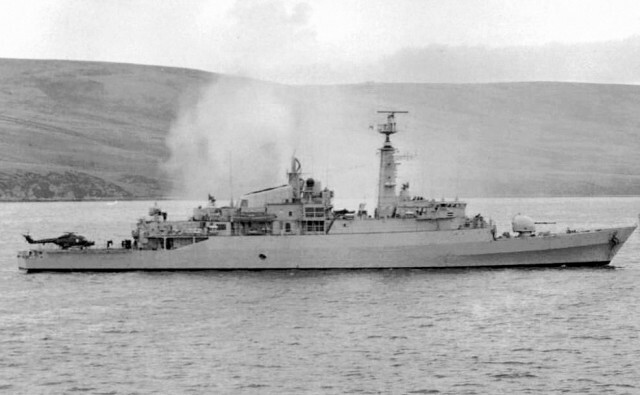 HMS Antelope smoking after being hit, 23 May 1982. In the Falklands, the British Royal Navy suffered its first losses of ships since the Second World War, nearly four decades earlier. 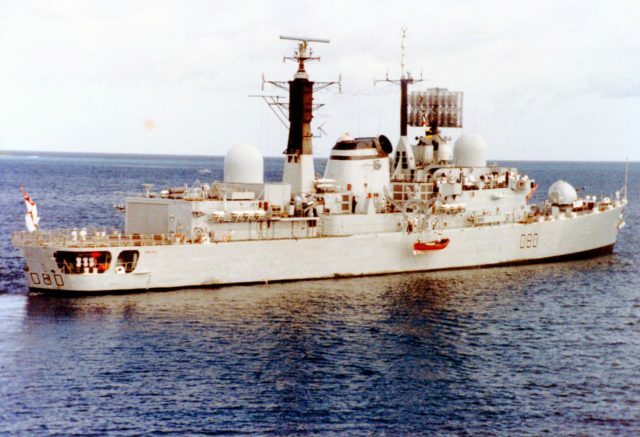 The HMS Sheffield was lost on 10 May, HMS Ardent on 21 May, HMS Antelope on 24 May, HMS Coventry and MV Atlantic Conveyor, a cargo vessel carrying helicopters and other important supplies, on 25 May. The loss of the Atlantic Conveyor was particularly significant, as it forced the army to advance on Port Stanley by foot. Superior morale helped bring the British victory, but even in this, the sides were closer than expected. When the British attacked Mount Longdon on the night of 11 June, they expected little resistance due to poor morale. The spirit of the Argentine defenders was strong, and instead of an easy victory the attackers faced a grueling twelve-hour battle, from which Brigadier Julian Thompson almost called the retreat. The war was fierce and brutal, often fought at close quarters with bayonets and grenades. During the fighting at Two Sisters, Private Oscar Ismael Poltronieri held up a whole British company with gunfire, for which he won the Heroic Valour in Combat Cross, Argentina’s top medal for courage. The Battle of Goose Green was the first major British victory of the war, but it was almost blown by a news report. The BBC World Service, hearing of plans for the attack, reported them to its global news audience. This almost led to the assault being called off. It could easily have led to stronger resistance at Goose Green, if not for the fact that the Argentinians believed the report was a British bluff. It could easily have led to stronger resistance at Goose Green, if not for the fact that the Argentinians believed the report was a British bluff. British Royal Marines arriving at Goose Green. If the British were expecting an easy win at Goose Green, then they were mistaken. Argentine troops put up a strong defense, stalling the initial assault. The first attempt to give the attack fresh energy failed, and its leader, Lieutenant-Colonel “H” Jones, was killed in the fighting. Conducting a war so far from home, the British could not easily be resupplied. By the end of the war, they were low on food and ammunition, many down to a handful of bullets. If the Argentine forces had held out a little longer, the British troops would have run out of resources with which to fight. If not for a failure of discipline, the Argentine forces would have held out long enough to wear down the British. Their Army Code forbade surrender while they retained 50% of their men and 25% of their ammunition, and on 14 June they were specifically ordered not to surrender. They surrendered that very day, rather than face the poorly supplied but fierce looking British.